Polar Mint will take your breath away and replace it with the freshest, cleanest feeling you've ever known. It reflects the sensation of breathing extremely cold and pure air with a minty twist that makes you feel as if you were vaping an iceberg frosted with menthol! 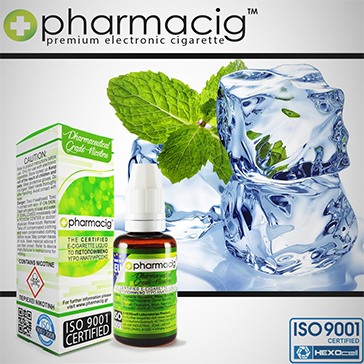 Polar Mint is a rather strong vape; in terms of quality, the vapor can rightfully be called competition-grade. It gives off supersized chunks of brilliant white vapor that makes your tongue and throat tickle and tingle with every delicious puff. The throat impact is stellar once you find your sweet spot; when it hits your lungs, it expands incredibly well. Polar Mint is truly top flight; it vapes great both on the way in and out. It also lets you savor the refreshing coolness with a very enjoyable, short-lasting aftertaste. Polar Mint is a first class liquid in every possible way.